Standard, you get its stylish frame of magnesium alloy and brushed aluminum, a 2MP webcam with dual microphones, a fingerprint reader, dual headphone jacks, earbuds, an ExpressCard slot (with a remote that fits in it), three Mini-Card slots, an 8-in-1 card reader, 802.11 a/b/g/draft-n Wi-Fi, and a slot-loaded optical drive (standard is a DVD+/-RW). You can configure it with a Blu-ray drive, integrated WWAN or Bluetooth, up to 4GB of RAM, and a hard drive up to 320GB (or a 64GB solid state drive). 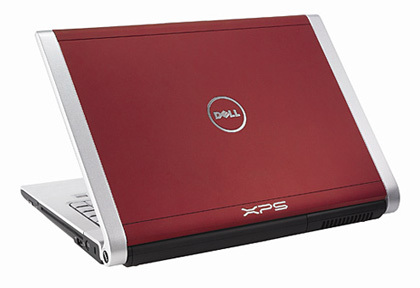 I have recently purchased my dell XPS 1530. I am extremly satisfied with the performance and the sleek looks. I am an avid gamer, and a programmer who require extreme performance. And blieve me you cant get anything better. What do you think is better, dell or HP?